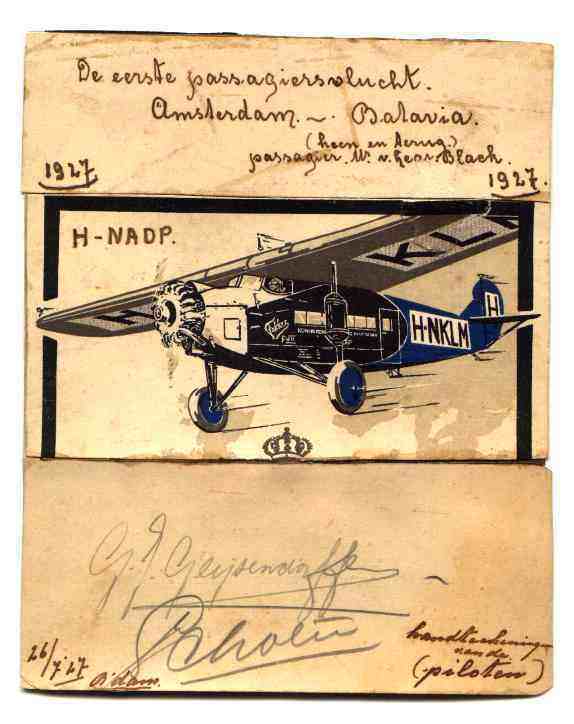 Short impression of the arrival of a Fokker F.VII with mail at Schiphol Airport in 1927. 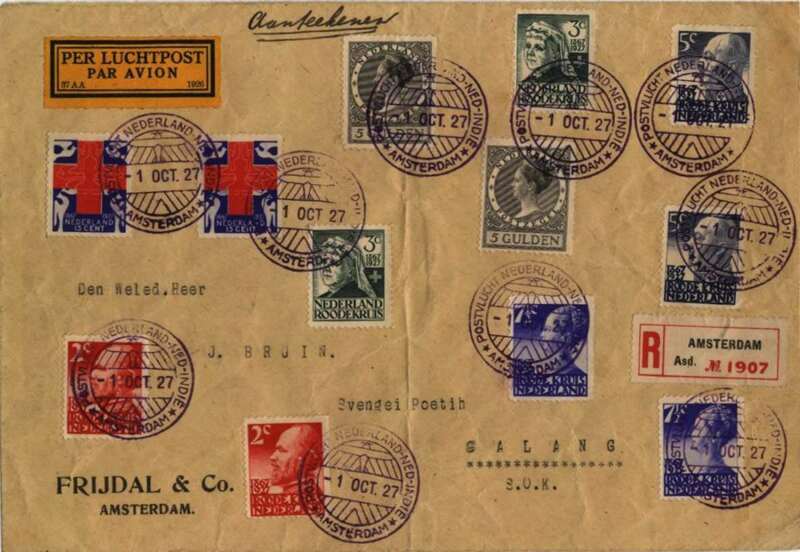 This flight over Holland begins at april 4 1927 at Schiphol Airport. We see a Fokker F.VII landing and after that we fly with this machine over the Dutch landscape, tulipfields and cities. As director of KLM, Albert Plesman discussed all new developments with the Board of Representatives. 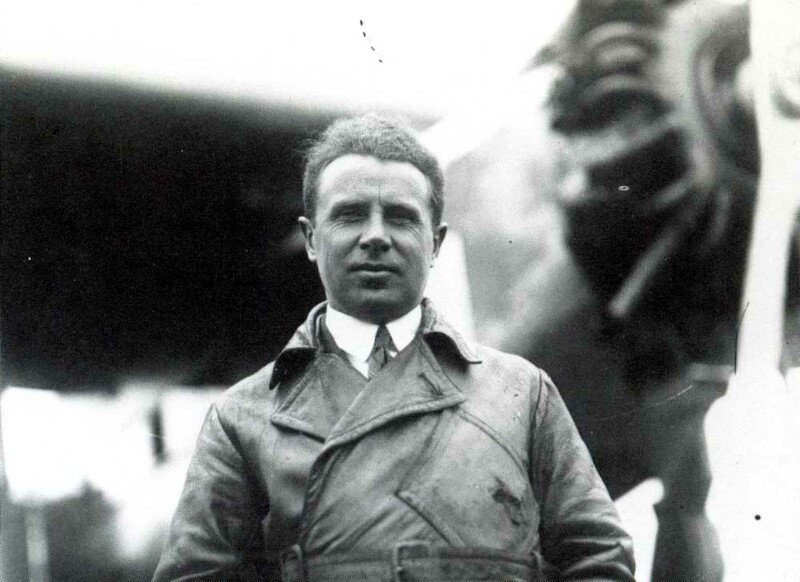 Already in 1923, he sent a report to the board concerning a English plane that was fitted with a 'wireless telephone' and had a toilet in the cabin and a 'groom' who serves beverages and informs passengers of their whereabouts. 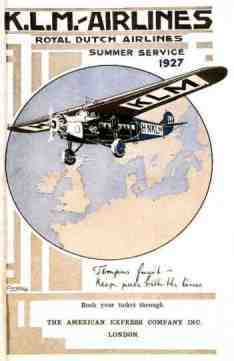 In the summer of 1927, the KLM purchased the new Fokker F.VIII which had all the above creature comforts. Although the planes did not have a 'groom' on board, the flight engineer was perfectly able to serve drinks and sandwiches while en route. The flight engineer was, however, too busy to provide flight information and KLM therefore sold key maps, which were apparently extremely popular with passengers. Extra attention was also paid to the interior of the plane, because there had been complaints that KLM did not compare favourably to other airlines in this regard. The Board of Representatives kept a close eye on these developments and concluded that the public had a right to more service and more information. 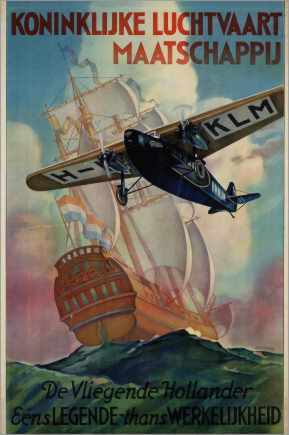 Plesman argued that KLM's advertising campaigns were more than adequate and added: 'Good propaganda must, however, be based on reality, i.e. on a good fleet, otherwise the propaganda is worthless. 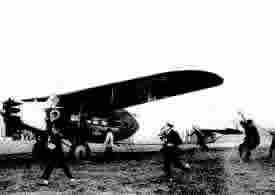 The first two out of three ordered F.VII.a's by the Dutch Army Air Force were delivered in March 1928. The third machine however, which was the first of the three to be built, made a return flight to the Netherlands East Indies prior to being delivered to the L.V.A.. During this flight it carried the civil registration H-NAEA and was named 'Postduif' (Carrier Pigeon). 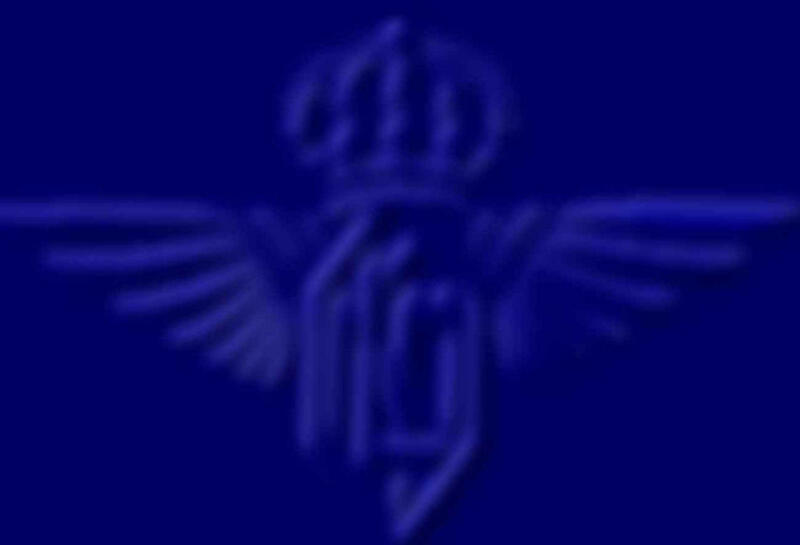 Its pilot was Lieutenant G. Koppen. 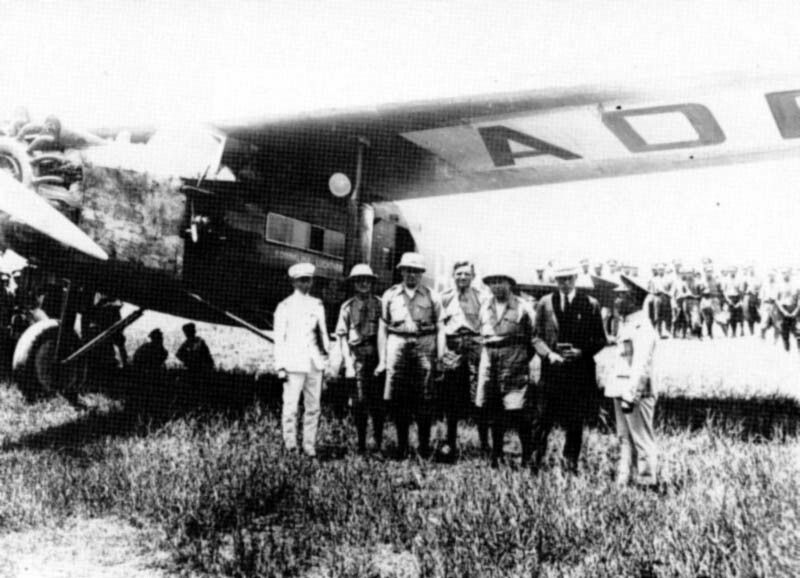 In January 1926, Koppen had visited Fokker to discuss his plan for a fast mail flight to the Netherlands East Indies. 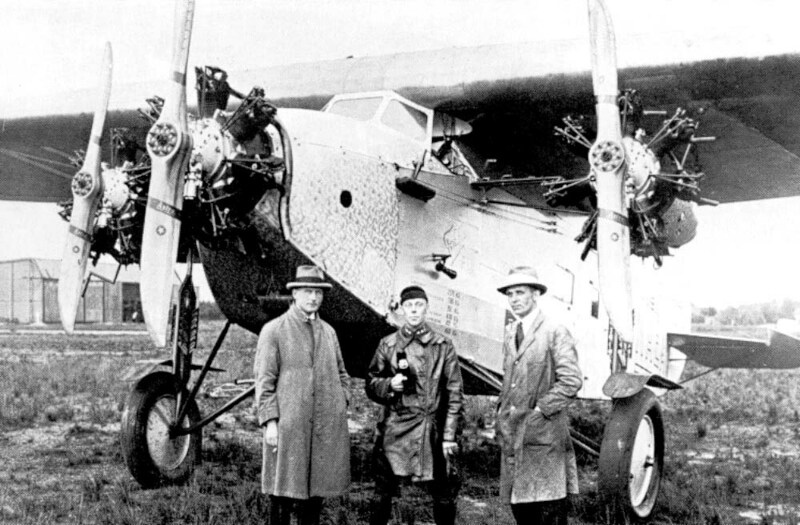 At that point in time, Koppen had neither an aircraft nor the necessary funding for the trip. 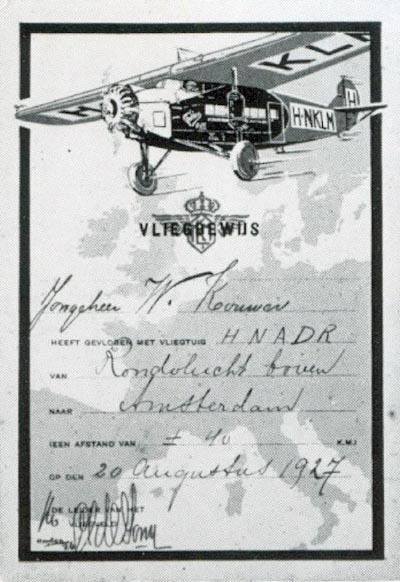 However, one year later Fokker had made an F.VIIa-3m available at no cost, and funding was provided by the Comité Vliegtocht Nederland-Indië. 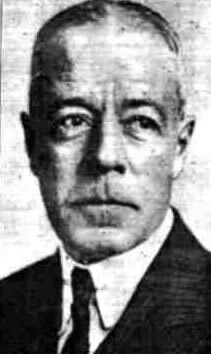 KLM's boss, Albert Plesman also sympathized with Koppen's idea as he felt it was about time for a regular service to the Netherlands East Indies. It was already three years since the pioneering first flight of H-NACC. 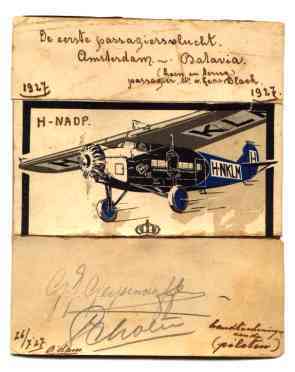 Koppen departed from Schiphol on 1 October 1927 with KLM pilot G. Frijns as copilot and S. Elleman of Fokker as flight engineer. 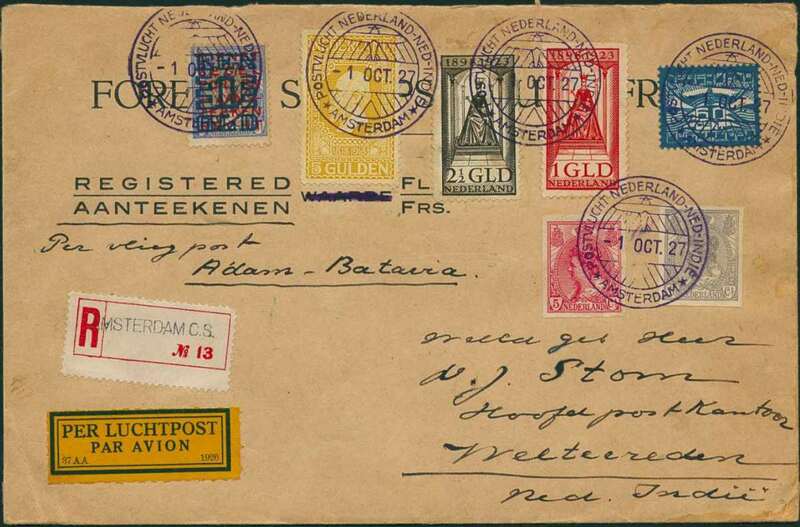 Ten days later the 'Postduif' arrived in Batavia. The return trip to Schiphol took 12 days. 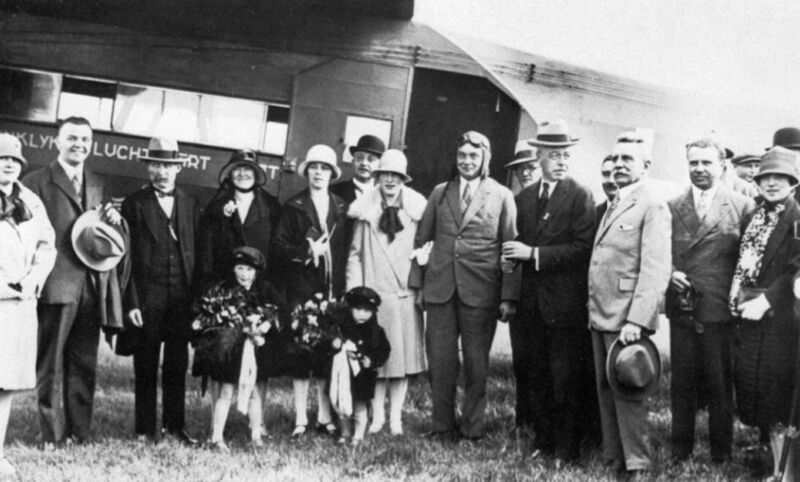 Twenty two days for the out and return flight was not especially fast, but it provided a wealth of experience. The pilots collected information about the route and the available ground facilities, and Elleman had an excellent opportunity to check the behaviour of the aircraft and its engines under widely differing climatic conditions. This must have driven the American millionair Van Lear Black to use the services of the KLM so frequently that he deserves his own chapter in the airliners history. Van Lear Black came from Baltimore, via London, to the Low Countries. He came to fly. He was a person who was always in such a hurry: travelling by car of ship was just to slow for him. So he decided to fly, tried to charter a plane from the Imperial Airways first but did not succeeded with them. "On which line Sir, and for which day? But that was not what he wanted. first officer Scholte and flight engineer Weber. The plane: the new Fokker FVIIa of course. The purpose of the flight was to surprise a friend who was about to arrive in the Egyptian city onboard his yacht. Unhappily the millionaire joke failed. On arriving in Belgrade, Yugoslavia, van Lear Black had to pay a $250 fine for each person onboard the aircraft as prior permission to land had not been requested. On top of this, he found his hotel so uncomfortable that he about faced there and then. The aircraft of course was not to blame. In fact van Lear Black was enthusiastic about it and he remained a KLM customer. In the next seven months Van Lear Black flew over 70.000 kilometers with this crew. 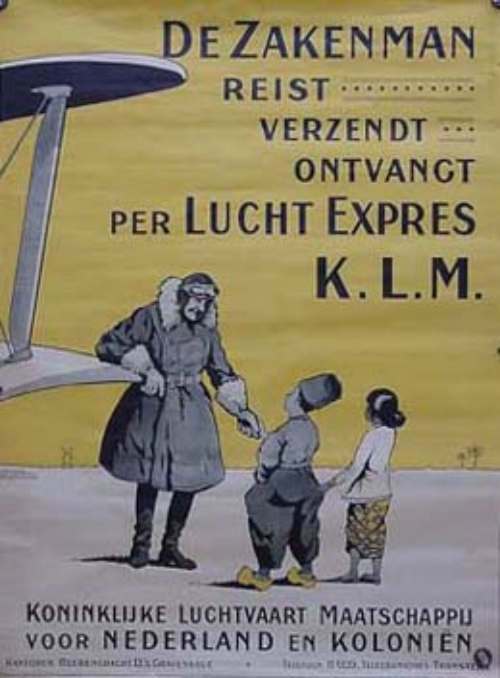 And for KLM, this was also good propaganda, since Van Lear Black was so satisfied with KLM's achievement, he made a great reference to other customers. When he heard of KLM plans to fly from Amsterdam to Batavia, he told the airline that he would like to make the trip. 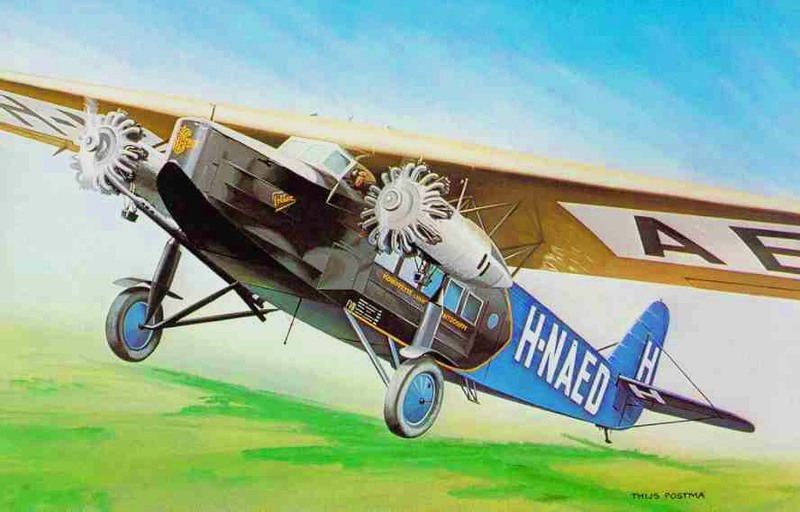 As money was no problem to van Lear Black, F.VIIa H-NADP was specially converted for the flight. 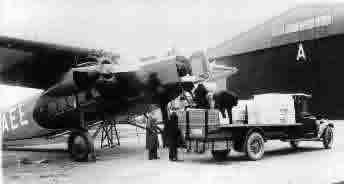 Extra tanks for fuel and oil were installed and the cabin was brought up to a standard befitting a millionaire. All this was done in only 16 days. 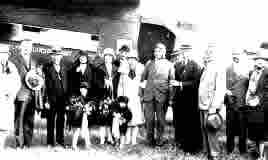 June the 15th 1927 Van Lear Black left with his crew for a trip to the Dutch Indies. there were monsoon rains, sandstorms and during the final part of the return journey, a particularly heavy thunderstorm. It seams that the restless spirit of the passenger was copied to the crew. They landed on Batavia on june 30. After six days at Bandoeng, the flight was scheduled back to Amsterdam, were it landed at july 23. 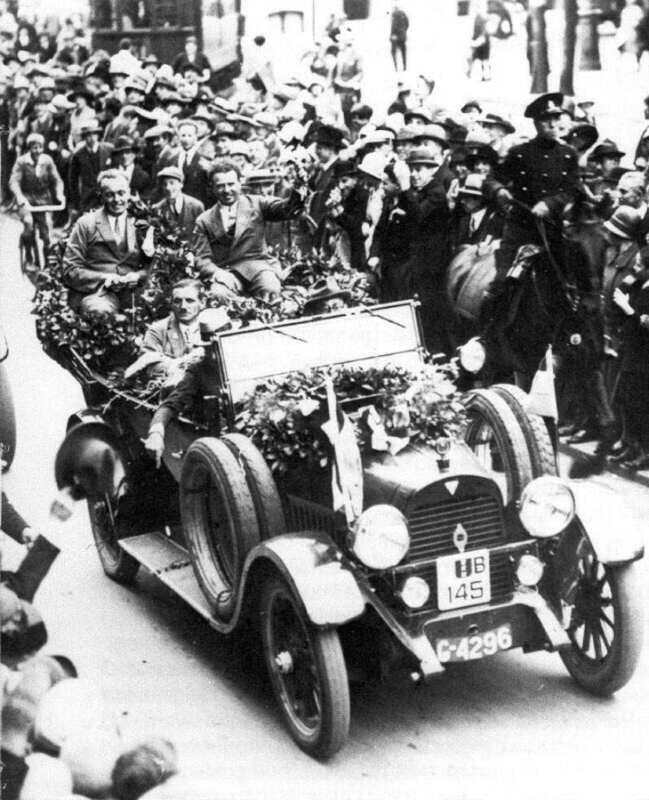 Van Lear Black was really amused to see the glorious welcome he and the crew awaited in Amsterdam. For the Dutch it meant so much, that the motherland and her colonies were just a few days flying from each other, he just could not imagine. 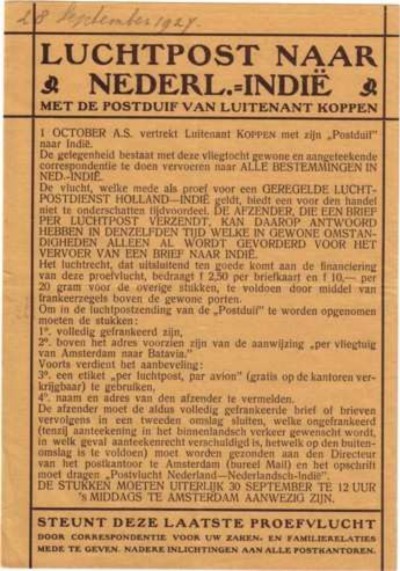 KLM was very proud on this first intercontinental charter flight which was also the first out-and-return flight between Holland and the Netherlands East Indies.